Legendary Moules & Frites establishment, Belgo, has recruited a “Beerologist” to unearth the best Belgian beers for its forthcoming “Oktoberfeast menu”. The Beerologist, Sam Hjelm (pictured, and available for interview), has made the pilgrimage to Belgium to track down the World’s most eclectic and delicious beers, which include Trappist brews, still made by Monks using traditional medieval recipes. The menu, which will be available throughout October, will also feature Abbey and lambic beers, a strawberry fruit beer, as well as the more familiar blonde beer, each matched to specific dishes, including: Moules Blanches (Mussels cooked in Brugs witbier with bacon lardons); Carbonnade Flamande (braised beef cooked in Faro beer, nutmeg and brown sugar); and even a Leffe Beer Ice Cream, served with syrop de Liège and pralines. The menu will cost £27.50 per person for three courses with three glasses of expertly matched beer (or £19.95 for the menu without beer). 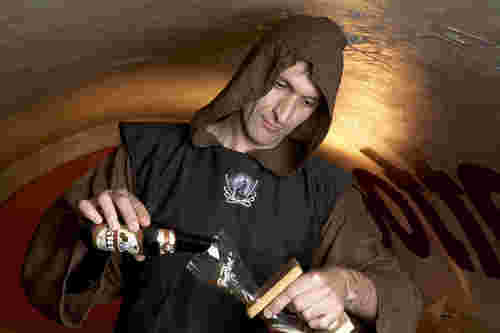 For those who can bear to share, Belgo is also offering a “bucket of Belgian beer” from the Steenbrugge Abbey, where Monks have been brewing beer since the 11th Century; a bottle of each of four styles (blonde, wit, brune and tripel selection), served on ice, will cost £10, in October. This press release was distributed by ResponseSource Press Release Wire on behalf of Relish PR in the following categories: Food & Drink, for more information visit https://pressreleasewire.responsesource.com/about.